Deprecated: Methods with the same name as their class will not be constructors in a future version of PHP; sowe_widget_blog_one has a deprecated constructor in /customers/5/4/0/gaybladet.se/httpd.www/wp-content/themes/sowe/includes/widgets/blog1.php on line 2 Deprecated: Methods with the same name as their class will not be constructors in a future version of PHP; sowe_widget_blog_two has a deprecated constructor in /customers/5/4/0/gaybladet.se/httpd.www/wp-content/themes/sowe/includes/widgets/blog2.php on line 2 Deprecated: Methods with the same name as their class will not be constructors in a future version of PHP; sowe_widget_blog_three has a deprecated constructor in /customers/5/4/0/gaybladet.se/httpd.www/wp-content/themes/sowe/includes/widgets/blog3.php on line 2 Deprecated: Methods with the same name as their class will not be constructors in a future version of PHP; sowe_widget_review has a deprecated constructor in /customers/5/4/0/gaybladet.se/httpd.www/wp-content/themes/sowe/includes/widgets/review.php on line 2 Deprecated: Methods with the same name as their class will not be constructors in a future version of PHP; sowe_widget_photo has a deprecated constructor in /customers/5/4/0/gaybladet.se/httpd.www/wp-content/themes/sowe/includes/widgets/photo.php on line 2 Deprecated: Methods with the same name as their class will not be constructors in a future version of PHP; sowe_widget_video has a deprecated constructor in /customers/5/4/0/gaybladet.se/httpd.www/wp-content/themes/sowe/includes/widgets/video.php on line 2 Deprecated: Methods with the same name as their class will not be constructors in a future version of PHP; sowe_widget_social has a deprecated constructor in /customers/5/4/0/gaybladet.se/httpd.www/wp-content/themes/sowe/includes/widgets/social.php on line 2 Deprecated: Methods with the same name as their class will not be constructors in a future version of PHP; sowe_widget_month has a deprecated constructor in /customers/5/4/0/gaybladet.se/httpd.www/wp-content/themes/sowe/includes/widgets/like.php on line 2 Deprecated: Methods with the same name as their class will not be constructors in a future version of PHP; sowe_widget_youtube has a deprecated constructor in /customers/5/4/0/gaybladet.se/httpd.www/wp-content/themes/sowe/includes/widgets/youtube.php on line 2 Deprecated: Methods with the same name as their class will not be constructors in a future version of PHP; sowe_widget_vimeo has a deprecated constructor in /customers/5/4/0/gaybladet.se/httpd.www/wp-content/themes/sowe/includes/widgets/vimeo.php on line 2 Deprecated: Methods with the same name as their class will not be constructors in a future version of PHP; sowe_widget_slider has a deprecated constructor in /customers/5/4/0/gaybladet.se/httpd.www/wp-content/themes/sowe/includes/widgets/slider.php on line 2 Deprecated: Methods with the same name as their class will not be constructors in a future version of PHP; sowe_widget_flickr has a deprecated constructor in /customers/5/4/0/gaybladet.se/httpd.www/wp-content/themes/sowe/includes/widgets/flickr.php on line 2 Deprecated: Methods with the same name as their class will not be constructors in a future version of PHP; sowe_widget_soundcloud has a deprecated constructor in /customers/5/4/0/gaybladet.se/httpd.www/wp-content/themes/sowe/includes/widgets/soundcloud.php on line 2 Deprecated: Methods with the same name as their class will not be constructors in a future version of PHP; sowe_widget_advertising has a deprecated constructor in /customers/5/4/0/gaybladet.se/httpd.www/wp-content/themes/sowe/includes/widgets/advertising.php on line 2 Deprecated: Methods with the same name as their class will not be constructors in a future version of PHP; wize_sowe_widget_twitter has a deprecated constructor in /customers/5/4/0/gaybladet.se/httpd.www/wp-content/themes/sowe/includes/widgets/twitter.php on line 2 Gaymer, ett nytt begrepp inom HBTQ? Terminologin inom HBTQ ser ut att breddas ut ytterligare. Det senaste tillskottet i den HBTQ-orienterade ordlistan är ”Gaymer”, ett begrepp som syftar på personer som identifierar sig själva som gay och som har ett starkt intresse för videospel eller spel generellt. Sedan begreppet introducerades har bisexuella såväl som transpersoner använt samma begrepp. 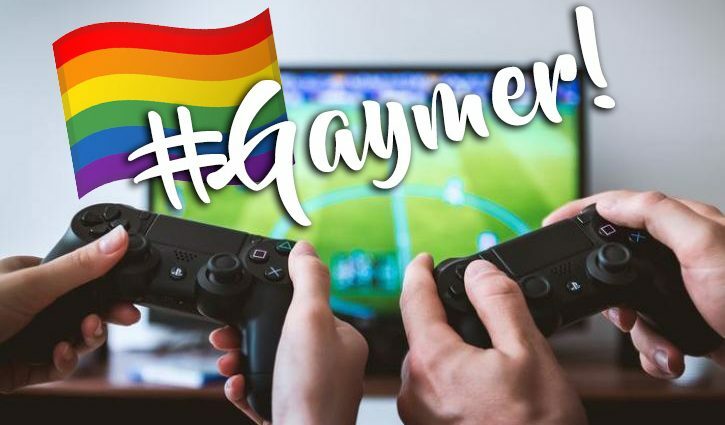 På sociala medier som Twitter, Facebook och Instagram är det inte ovanligt att se hashtaggen #GAYMER, och till följd av dess kraftiga exponering har Jason Rockwood, forskningsledare, granskat fenomenet i en av sina senaste forskningsuppdrag. Fokus har legat i fördomar och diskriminering som ”gaymers” ofta sägs uppleva när de deltar i spelaktiviteter som vanligtvis domineras av straighta män. Den allra första spelmässan för HBTQ-personer introducerades 2013 (se GaymerX) i San Francisco. Mässan lockade till sig många besökare, inte minst spelutvecklare som såg potential till att utvecklas och växa i ett nytt marknadssegment. Bara några månader efter mässan utvecklades några av de första HBTQ-inspirerade spelen. Parallellt med utvecklingen passade även några av de största speltillverkarna på marknaden att inkludera HBTQ-vänliga inslag i sina ordinarie spel, något som möttes med kritik bland de straighta spelarna. Chris Vizzini var en av pionjärerna som försökte skapa den första spelcommunityn för HBTQ-personer. 2007 startade han sidan Gaymer.org och försökte lägga patent på den nya termen. Försöket gick inte som lyckat, och 2013 tvingades han ge upp försöket att beslagta den nya termen. Sedan termen uppmärksammats av spelutvecklarna och spelbolagen har en rad positiva förändringar påkallats. Bland dessa återses fler spelmässor för HBTQ-personer men också en rad olika karaktärer och HBTQ-teman i några av de populäraste spelen. HBTQ-vänliga alternativ finns även i casinobranschen. Ett populärt spel som anses vara omtyckt av många HBTQ-spelare är Voodoo Dreams. För något år sedan var det dessutom tal om ett gayinspirerat casino, särskilt anpassat för HBTQ-personer. Projektet realiserades men lades ner under 2017 på grund av långt intresse. I en enkätundersökning som Gaybladet utförde i slutet på 2017 uttryckte majoriteten av läsarna att de hellre ville söka spel på traditionella spelsajter som NorskeCasinoOnline.com framför HBTQ-inspirerade casinosidor. Pokerbranschen är en annat intressant undersegment inom spelindustrin där HBTQ-personer varit framstående, inte minst bland pokerproffsen. Vanessa Selbst och Jason Sommerville är båda homosexuella men anses tillhöra några av världens absolut bästa pokereliter.